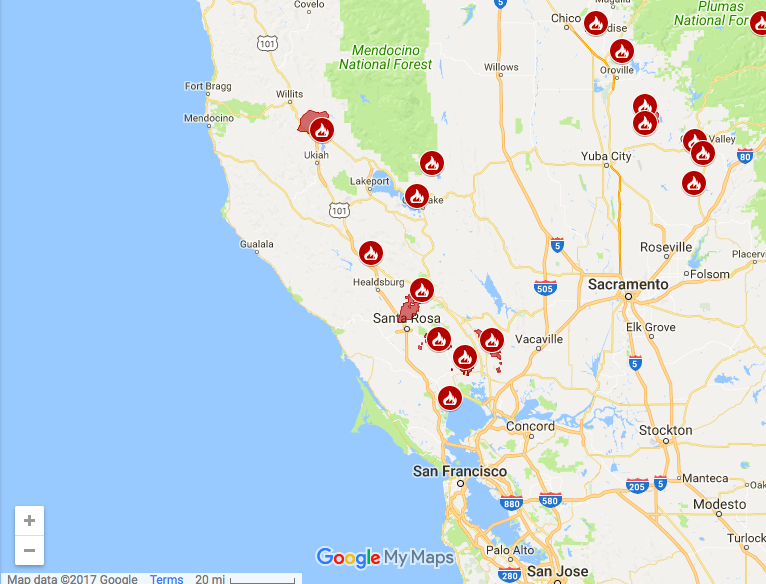 As of Tuesday, October 10th at around 6pm EST there are over a dozen wildfires raging throughout Northern California. The fires are concentrated in the wine and agricultural centers of the state in Napa and Sonoma Counties, where 12% of the state’s grapes are grown. On this episode we are providing up to date information on the impact this disaster is having on the residents of this region and how it is affecting the area’s food and wine producers. We are joined on the phone by Brian Kenny of Hearst Ranch and Adam Mariani from Scribe Winery to get their local perspectives and reports. The full personal, economic, and environmental impact of this devastating natural disaster will likely not be known until the fires have been controlled. HRN On Tour will be keeping you up to date on how the fires are affecting our food and wine producers and how you can help those in need. We will continue our coverage in a special segment of this week’s HRN Happy Hour, Thursday evening at 5pm, where we will be joined by more voices of Northern California’s food world. *Map Data © Google 2017.